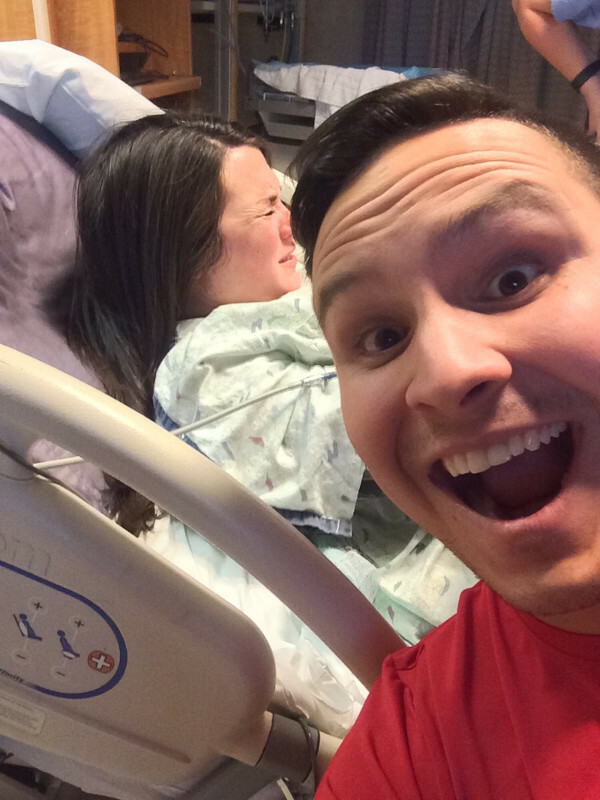 Would your partner be brave enough to take a selfie while you’re in the throes of labour? Bursting with excitement, this fearless (or foolhardy) man snapped a selfie while his wife was very obviously in a world of hurt, and he’s been hilariously lauded and lambasted by other parents. The new dad, who obviously likes to live on the edge, confirmed his wife, thankfully, shares his sense of humour : “I actually took this pic to send to her brothers who kept asking how it was going. I showed it to her in between pushes and she cracked up. Now I’m reading her all of you guys’ comments while she feeds our healthy 7lb 6oz girl”. He says his mother-in-law took more traditional photos ten minutes later.